If you think your only choice for paying your energy bill is to keep giving the power company the amount they say you owe, guess again! Advocate Energy Group offers their knowledge and expertise of the energy industry to give you the power to choose Texas energy providers that will give you the guaranteed lowest rates. They aren't associated with a single energy group but receive a commission from the provider that you choose once you have determined which of the options is best for you. You can count on your energy advocate agent from AEG to always have the ultimate integrity and give you unbiased guidance. While AEG gives you the power to choose Texas energy providers that will give you the lowest rates, you can also enjoy lower rates at the provider you are currently using. AEG's energy bill auditing service will research your account history and verify that proper profiling, taxation and fees have been applied. Within 30 to 60 days, the results of your energy audit will be provided to you. If there are any discrepancies found, you will receive a refund directly, not through AEG. If there are no discrepancies found, you don't pay AEG for their services. AEG is your energy advocate for getting competitive electricity and natural gas rates. You have the power to choose Texas providers that they have given you in order to get the lowest rates. Their long-standing experience in the deregulated electricity and natural gas markets along with their competitive nature give them the confidence to get you the best rates in your area. The cost of energy is high enough when you are paying what you really owe. When AEG helps you exert your power to choose Texas energy providers, you can save up to 40% on your future energy bills. Even if you prefer to stay with the same provider and use AEG's energy bill auditing services, you can benefit by saving on your rates in the future! AEG wants to be your advocate in the energy market, giving you the power to choose Texas power rates that are lower now and in the future. Once they have helped you make your choice, they will keep you informed of all the different changes in the energy sector that could affect your bottom line. Subscribe to their monthly newsletter and gain the power to choose Texas energy rates that are the lowest available at any time and understand what is happening to the economy that might cause those rates to change. 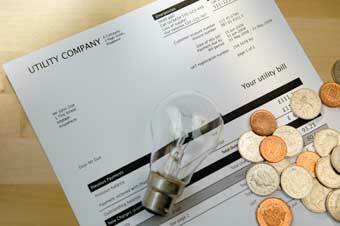 Be proactive when it comes to paying your energy bill and get the lowest rates and lock them in place. Go to www.advocategrp.com if you are ready to get the power to choose Texas energy providers that will give you the most competitive rates. AEG has the skills and the vast knowledge to provide you with the greatest advantages for your home and business energy use. You don't have to stop being comfortable in your home or office in order to pay lower energy bills. You just need AEG to give you the power to choose Texas power rates that will spread your energy budget dollar further! Advocate Energy Group gives Texas Power to Choose their Energy Provider Energy costs are high enough without being overcharged on your energy bill. With the services of Advocate Energy Group to help, they give Texas power to choose lower rates or to find out why they are being overcharged by their current energy provider.